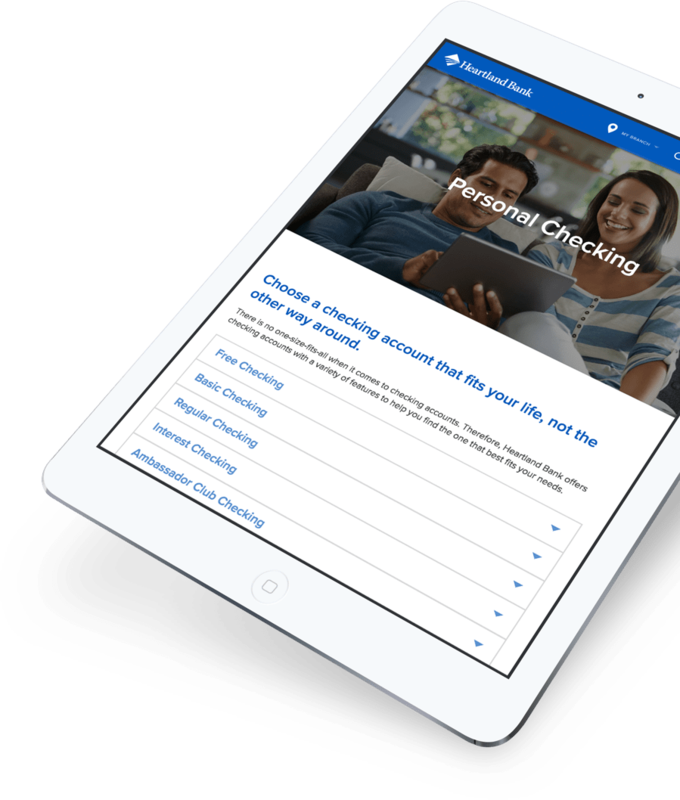 a community bank website built for the digital age. 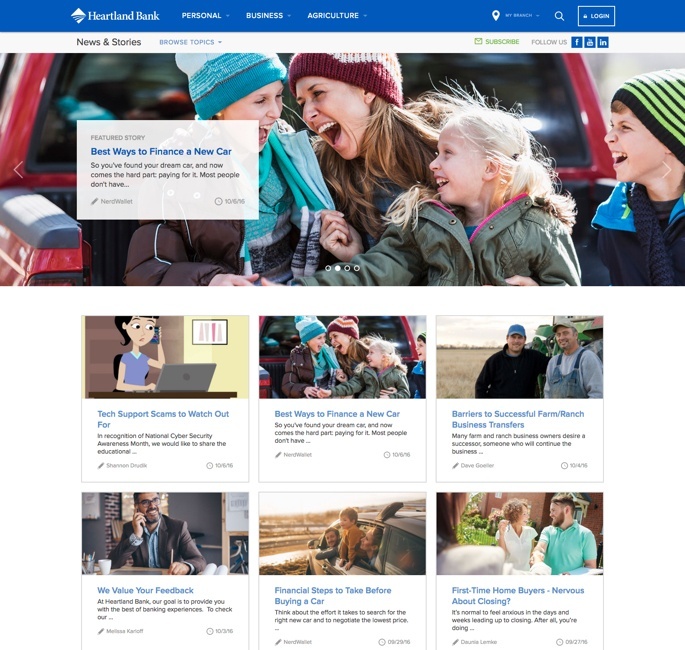 Heartland Bank came to Media Junction with the goal of improving their digital branch to be technological market leaders, improving website usability and improving their current digital infrastructure. In the previous year, their bank website experienced a 150% increase in mobile and tablet visitors. 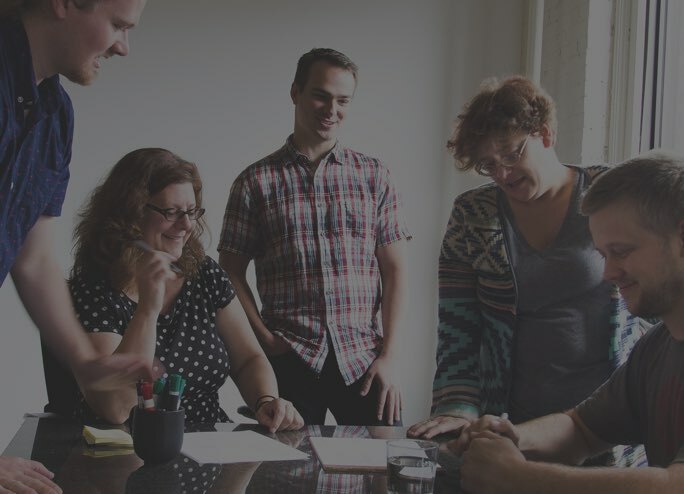 Their marketing goals were to drive traffic to the website, capture leads and nurture those leads. Being a financial institution, security was paramount to Heartland Bank. 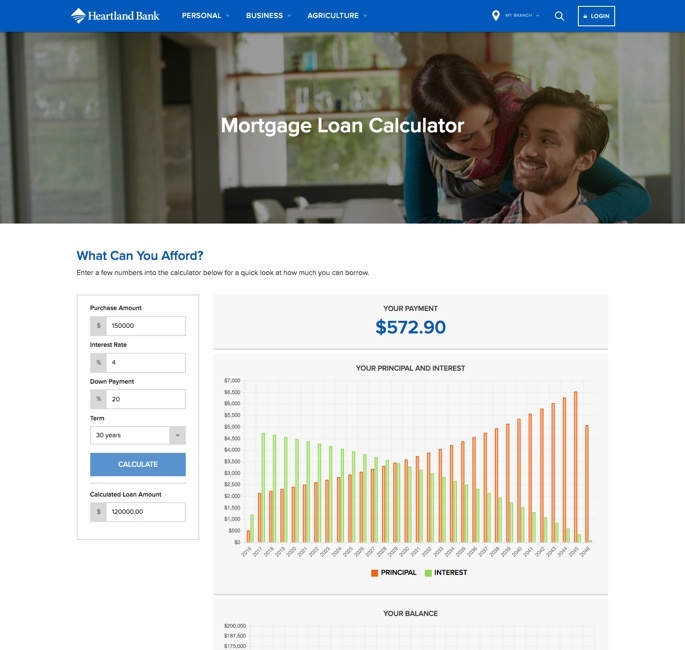 This project featured multiple custom-developed calculators site visitors could use to estimate loan payment amounts. We utilized one of the most under-utilized features of HubSpot's COS platform. 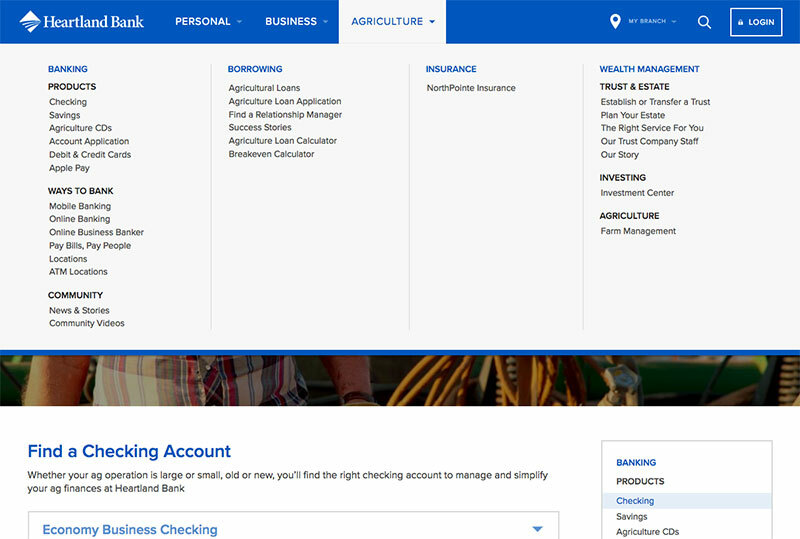 By asking a few questions we were able to leverage the power of Smart Content throughout the site, allowing Heartland Bank to serve up a tailored experience based on a visitor's form submission. The visitor can select from multiple products, locations and the type of banking products that best fit their needs. 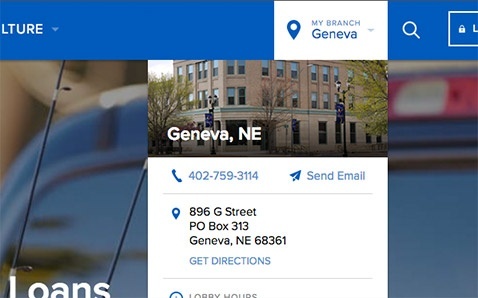 Based on the local branch they selected, the branches hours and contact information will display in the navigation. To direct visitors in the right direction, we needed to first assess their information architecture. We mapped the personas to the site users and created a user journey map to plan how each visitor could be guided through the digital branch to achieve their particular goals. Their customer base was analyzed and segmented into seven primary buyer personas: agriculture, business, home mortgage, personal, trust and estate, investments and insurance. Because of the sheer volume of content on the site, we organized their navigation into mega-menus to first point the visitors in the right direction. "I couldn't say enough good things about working with Media Junction to complete our new bank website on the HubSpot platform. From the initial planning to the final post-launch updates, they were great to work with. The templates and tools that Media Junction built into our HubSpot platform allow us to grow and adapt our site over it's lifetime. They built a site that truly can be updated, modified, and adapted to our future digital needs. I highly recommend working with the team at Media Junction, especially if you are in the financial services industry, as they can create a modern and powerful digital platform for your company." Visit Heartland Bank's digital branch.